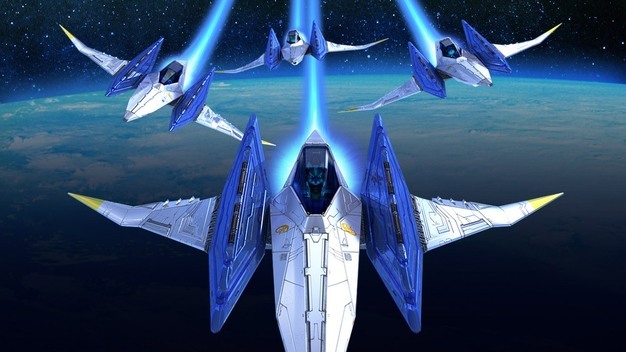 For better or for worse, the Star Fox franchise has been one that Nintendo has shown no fear when it comes to tinkering with various aspects of the series. Its original release on the Super Nintendo made use of the Super FX, allowing it to be Nintendo’s first video game using 3D polygonal visuals. Following that, the remake on the Nintendo 64 introduced the rumble pak, the accessory that pioneered force feedback in console gaming. Then there was Star Fox Adventures on the GameCube, where titular character Fox McCloud traded his Arwing for a fighting staff to rescue a princess from a world inhabited by dinosaurs. 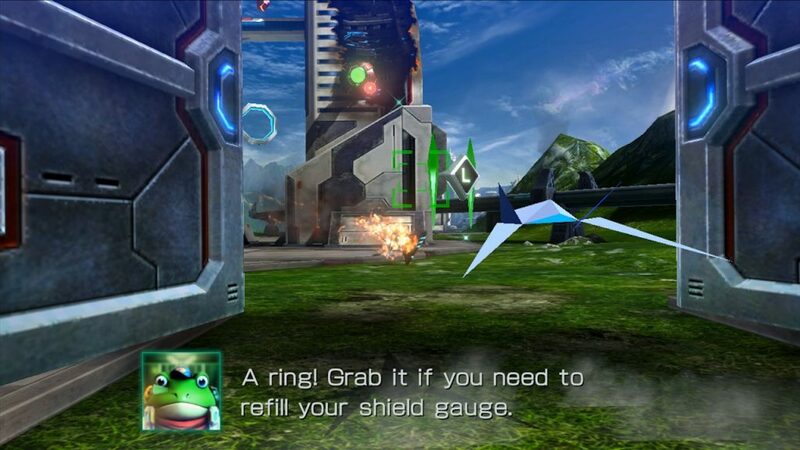 And more recently, Star Fox Command on the DS introduced touch controls and a map-like grid that gave the game a more strategic feel. At that, even with 2005’s Star Fox Assault attempting to bring the series back to its sci-fi shooter roots, no Star Fox game has ever managed to really capture the feel and legacy that the first two games possessed, but more so than any release before it, Star Fox Zero is both a tribute to the originals and a sign that the series may have further lost its identity. Like Star Fox 64 was to Star Fox, Star Fox Zero is another reimagining of the series’ original story. The game begins informing players of the situation that led to Fox McCloud taking responsibility of Team Star Fox (a ragtag team of pilots including Fox McCloud himself, the gadget genius Slippy Toad, cocky bird Falco Lombardi, and the wily veteran Peppy Hare) to Venom in order to save the Lylat System and avenge Fox’s father. There’s actually a tad more to the story this time around, and it’s hinted in this anime Nintendo released as the game launched. It looks like Star Fox, but it doesn’t feel like Star Fox. The game will draw a lot of comparisons to the N64 classic, both fair and unfair, but the bottom line with Star Fox Zero is that its much greater in scale. These reasons should be enough to justify that the game is better than the classic, however, awkward controls significantly take away from an otherwise epic experience. With Shigeru Miyamoto enlisting the support of Platinum Games’ terrific development team and the game going through a couple delays, one would think Star Fox Zero would be a surefire hit. Even with solid level design and new vehicles to give the game even more variety, that’s far from the case. Star Fox Zero‘s biggest problem is that while the game looks like the classic games we love, it hardly feels like them at all. Button commands were remapped, with no way to change them. Instead of rapidly tapping the A and B button to fire your ship’s main laser and smart bombs, they’ve been switched to the ZR and R buttons, respectively. As a result, barrel rolls, sharp turns, somersaults, U-turns, and the brakes have all been remapped to the right analog stick. This will all feel awkward to Star Fox veterans, especially if you weren’t paying attention to the game’s first required Training Mode. Speaking of Training Mode, it’s also worth mentioning that unlike other modern Nintendo games, Star Fox Zero doesn’t hold your hand much. When you get access to a new vehicle or ability, the game doesn’t force you into training, which is both strange yet kind of welcoming. Even when you get used to the remapping of the button commands—which is a feat in itself, especially if Star Fox 64 is in your muscle memory—the controls become even more frustrating thanks to the Wii U GamePad’s cockpit view. There’ll be a few times throughout the game where the camera will zoom out on your TV to show the side of your vehicle in third-person, throwing off the controls until you realize that you should be looking at the GamePad’s screen to maneuver yourself and aim more properly. Mastering Star Fox Zero relies on your ability to pay attention to both the action happening on the GamePad screen and TV, and those who accomplish this are probably a dime a dozen. What’s even more frustrating is that skilled players can actually get by without bothering to look at the GamePad screen. It’s just that it’ll take a lot of work that’s really not worth putting in. Again, a dime a dozen. 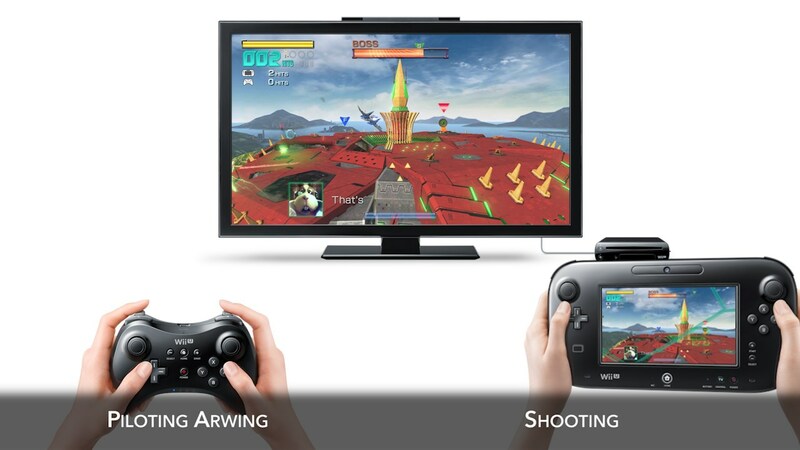 If you just can’t get by the awkward controls, you can go all Millennium Falcon and have one person shoot while the other flies. It begs to question why Nintendo, or Miyamoto no less, even bothered making the controls what they are. Nintendo put a lot of money into making the GameCube controller playable with Super Smash Bros., and then there’s the fact that the game doesn’t even support the Wii U Pro Controller. A big part of what made Smash and Mario Kart 8 so successful is that they cater to every gamer’s basic needs to play the game. Instead, Nintendo has chosen to alienate those who grew up with Star Fox by making it inaccessible. When you teach yourself to get by the unfortunately awkward controls, there’s a good game here. Great even. Almost everything that made the original games as good as they are makes a return here, and then some. First of which, the branching paths that added variety to each Star Fox 64 playthrough are back, which adds much needed replay value. In addition, Fox also has more toys to play with. Joining the Arwing and Landmaster are the Walker and Gyrowing. With the Arwing, not much has changed aside from the aforementioned controls, however it’ll eventually have the ability to transform itself into the Walker with just the press of a button. The Walker does what it’s called, it walks, and it’s still equipped with the cannon. Those who played Star Fox 2 (unreleased in the United States) should all be familiar with the vehicle. 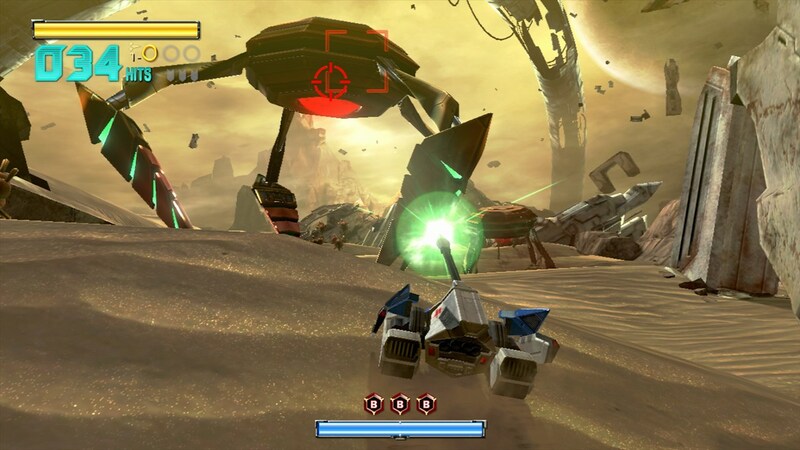 The Landmaster is the preferred ground terrain vehicle of the Star Fox team and its new feature includes its ability to fly for a short period of time when transforming it into the Gravmaster, making it quite a vehicle to handle. 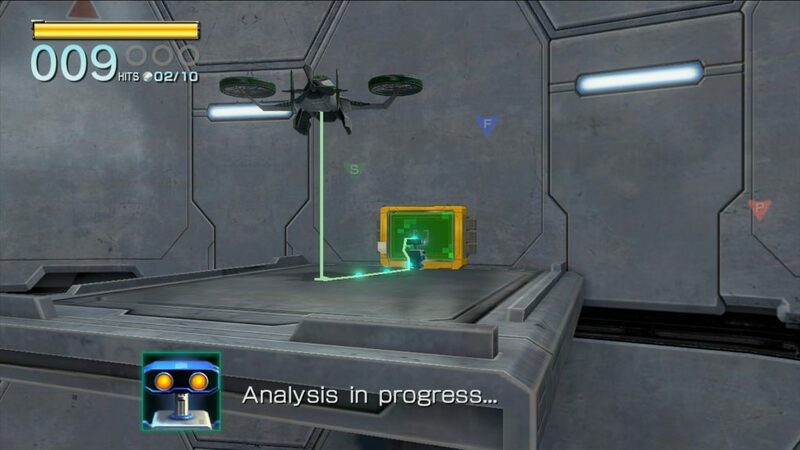 The stealth-based Gyrowing missions are kind of like those Knuckles levels in Sonic Adventure 2. It’s cool that they’re there, but nobody cares. The newest vehicle is the Gyrowing, a significantly slower flying model ideal for stealth situations. In addition to its all-range mode and the ability to easily get to high, low, and hard to reach areas, it can also drop a little robot called the Direct-i, which can fit into small tunnels to hack into computers and other essential tech. Obviously, situations in which you use the Gyrowing are slow-paced and don’t quite feature the action seen in levels in which you use the Arwing and Landmaster, but they’re a welcome addition that shows off the scope the Star Fox series is clearly capable of. With 10 required missions per playthrough compared to Star Fox 64‘s seven, the game is also a little longer. While that may be fine to people who really believe length adds value, it could be unfortunate to some. I remember being in grade school when the game came out, and on days when we had no school, my day wasn’t complete unless I beat Star Fox 64 twice. That’s something I can’t imagine myself doing with Star Fox Zero. This is a hard question to answer. The main reason why anybody will have any interest in Star Fox Zero is because it’s Star Fox. It’s the action-packed game we all begged and hoped for. At least it almost was. The game almost has everything a Star Fox fan could want. The production values are there. The level design is solid. It looks good. While almost the entire voice cast was replaced, it still sounds good, and Slippy isn’t as annoying anymore, and the music is as great as it ever was. But it’s the controls that make the game unforgettable in a bad way. The Landmaster is still awesome though. 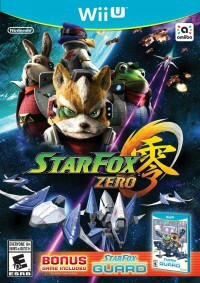 What’s even more ridiculous is that the game packed with Star Fox Zero, Star Fox Guard, features fantastic use of the GamePad’s features, and the game itself is fantastic. Star Fox Zero may or may not be worth the time (spent learning the controls), but the addition of Star Fox Guard makes it worth the money. You know the old adage about not fixing something that isn’t broken? Mr. Miyamoto probably wasn’t paying attention. Star Fox Zero really could’ve been the best Star Fox in the series if Nintendo didn’t try to be so cute with it for the sake of innovation, and it’s thanks to these decisions that Nintendo will probably be saying goodbye to a lot of Star Fox fans. The game was purchased by the reviewer who played through the game's main campaign twice before beginning the review.